Everyone wants to be the next Bill Gates or Steve Jobs, but there’s never been a clear road map to becoming a wildly successful innovator—until now. 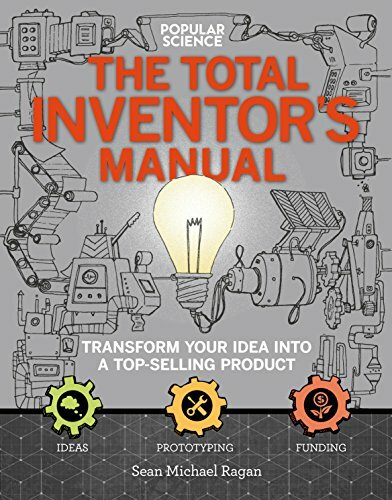 In The Total Inventor’s Manual, you’ll learn to . . .
MAKE ONE Get that great idea out of your brain and into the real world with a crash course in ideation, prototyping, and testing. Includes clever, can-do lessons in CAD, 3D-printing, laser-cutting, electronics, robotics, coding, and more. SELL ONE Whether you’re riding the Kickstarter wave or hitting the venture capital beat, get your idea funded—and protect it with a proper patent. Then learn to refine your prototype’s look and feel to give it a boost in the market. MAKE MANY Bring your invention to the masses with tips on manufacturing processes and best practices, plus solid advice for beginners on running a supply chain. SELL MANY You’ve built it—time to make them come. Discover how to effectively position your product in the marketplace, deal with consumer feedback, and run—or sell—your newly successful company. With profiles by Rachel Nuwer on the winning inventors who brought you the . . .